New York, NY - V. Rev Djokan Majstorovic organized a book promotion at St. Vladimir's Seminary on the evening of May 18, 2011 for “Reflections on the Major Feasts” the new book by Fr. Rodney, published by the Clergy Brotherhood. Fr. 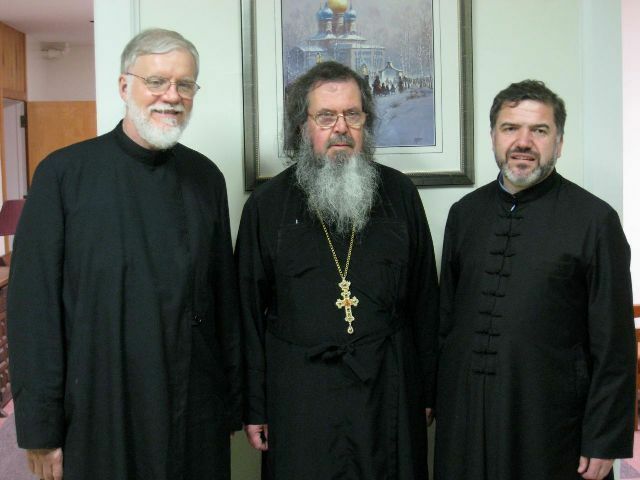 Djokan spoke as President of the Clergy Brotherhood of the Serbian Orthodox Church in North and South America about the Brotherhood's publication of the book. Fr. Rastko Trubhovich also spoke, having written the introduction and reviewed the book and its importance for clergy and faithful. Finally, the author Fr. Rodney Torbic, spoke about how the book came to be written.